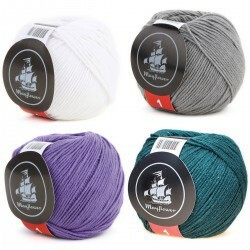 Acrylic yarn is an artificially manufactured yarn product which has, in spite of being considered a stiff and scratchy material for several years, finally won the love of the people. 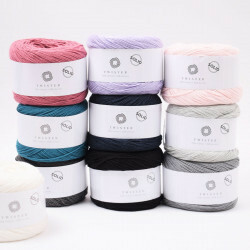 Fortunately, however, acrylic yarn is now considered a high quality material with many practical features and advantages. 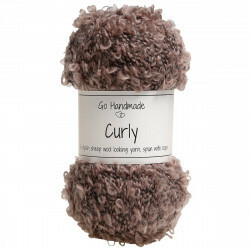 The many benefits and features that acrylic yarn holds makes it easy to use in everyday life. 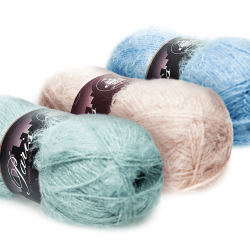 Of course, using synthetic yarn is a matter of taste, but there is no doubt that the synthetic yarn is more effective in its color fidelity than naturally produced yarns, which means that it can be washed more often without losing its color. 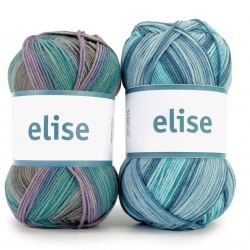 This characterizes acrylic yarn as one of the most durable yarns, as both color and fit remain relatively unchanged no matter how many times they are washed. 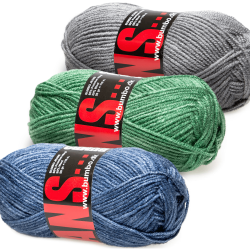 New technologies have also helped to change the negative perception that have previously ruled, as many different versions of acrylic yarn are being produced, most of which are super soft. 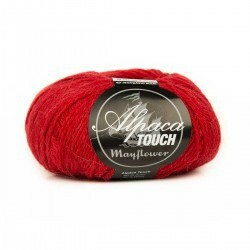 One of the greatest benefits of acrylic yarn is its hypoallergenic properties. So if you want to knit or crochet clothes for a person with allergy, using acrylic yarn is the obvious choice. 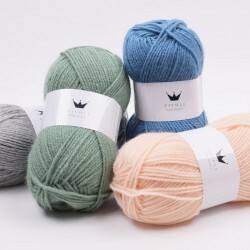 It is possible to crochet with 100% acrylic, but many choose to combine it with other yarn products such as cotton yarn, which is very popular. 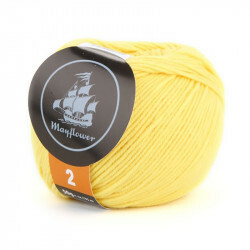 In addition, the acrylic yarn is hugely user-friendly, so even if you're a beginner, it's easy to work with this kind of yarn while it's also cheap and good for practising, so get your knit on! 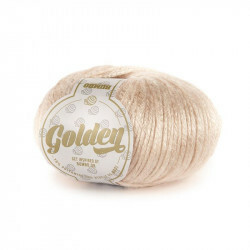 The good thing about the acrylic yarn is that it can be used for both knitting, crochet and embroidery, giving you virtually almost endless possibilities if you activate your imagination. This also gives you the chance to do different everyday projects such as clothes, toys, teddy bears and dolls for your children or grandchildren. However, you should be aware that acrylic is heat sensitive and as such should not be washed at over 40 degrees, as it risks losing its shape. So if you prefer yarns that are easy and great to work with, there is no doubt that acrylic could easily become your favorite yarn material. 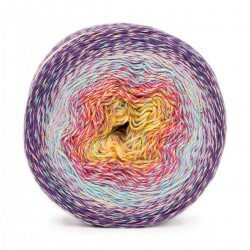 Here at Hobbii.com we want to the best and fastest in the supply of acrylic yarn and yarn accessories. Therefore, you always get your goods within three business days after you order it online. We take pride in keeping a high standard in our customer service and you can always call us if you have questions about our products. We always provide full return on goods ordered via our webshop. 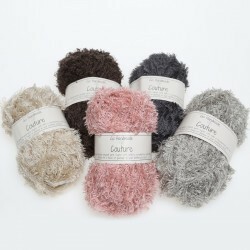 You are always welcome to contact us if you have questions about our acrylic yarn or need help ordering. You can contact us via our contact form and we will respond as quickly as possible. You can also call us at 00 45 31 86 33 57 or email to support@hobbii.com. We look forward to welcoming you as a customer. Oh my, oh my.... 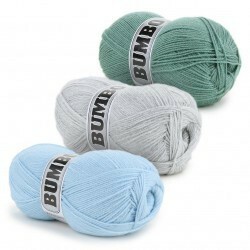 So what did I expect and concerns from 50/50 cotton acrylic Yarn that I have not seen or felt myself? 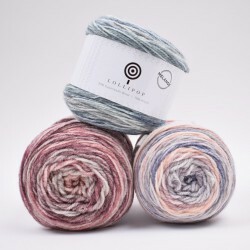 Soft, gentle against the skin, quality of the yarn, are the claimed graduated colour change really as they claim, will one really be enough to make a shawl.... I have been crocheting the shawl over a couple of days and I have no negative reaction to the dye, it's super soft against my skin, it's easy to work up and is exceeding expectations so far... Will update with a photo on completion of the shawl. Thanks awfully for this great product. 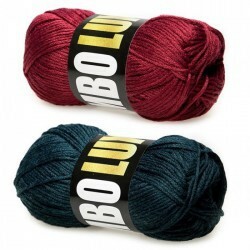 This is my first order from Hobbii and I am extremely pleased with the colors and quality of the yarn. 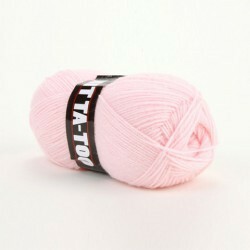 I do charity knitting and acrylic yarn is necessary because of its easy care. So often acrylics are harsh and stiff, but Tivoli is so soft and easy to handle. My needles are already busy making items. 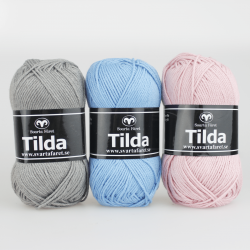 The Tivoli was also on sale, so this has been an exceptional bargain price for great yarn. I love the acrylic yarn especially for childrens afghans. I have put in quit a stock of it and the kids pick their colors. I will get other yarn as I go along with my crochet habit that brings me joy. Did not expect it to be so thin. 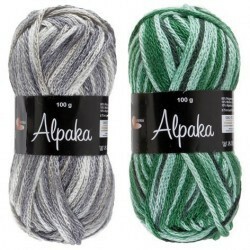 I have bought other acrylic yarn of the same dimension and it was thicker and better quality. Will not be purchasing this type again. Love these Mega Balls. I already started one of my projects. 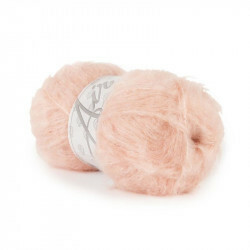 The yarn is easy to work with, really soft, glides on the hooks. I haven't experienced splitting, which I'm very happy about and the colors are great. The size of the balls are excellent as I don't have to worry about running out. I purchased 2 of almost every color and I have so many ideas right now. I didn't have to wait long for them to arrive, also a plus for me. 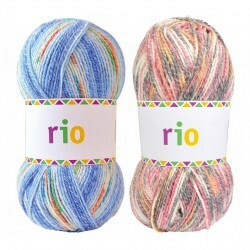 The colors of this yarn were so pretty that I ordered the Color Bomb yarn cakes in three different colors. 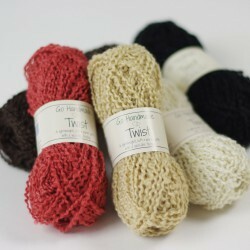 I am delighted with all the colors and was surprised at how soft the yarn feels. I knit and crochet shawls for a prayer shawl group and Cotton Kings will be perfect for summer shawls. 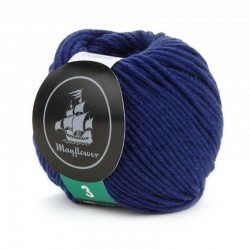 At 1000 meters this yarn will make a generously-sized shawl with no need to join in the middle. I am sure that I will be ordering more!